With the rupee's continuous fall against the dollar automobile and consumer goods companies are facing a tough time. This festive season will see these goods become more expensive. 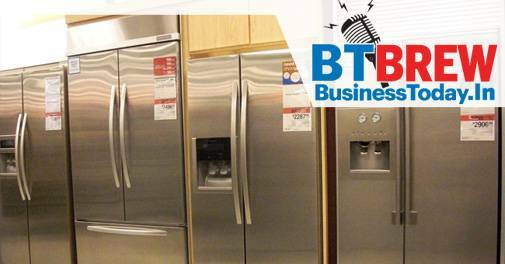 LG, Haier, and Godrej Appliances have hiked prices by 3-5 per cent this month. Panasonic India is expected to increase product prices by 2-3 per cent soon as reported by the Business Standard. Maruti Suzuki, the country's largest carmaker, has increased prices across its models by up to Rs 6,100 in August. Hike in prices will naturally affect demand for these goods during the festive season, a time for bumper sales for these companies. The Central Information Commission (CIC) has directed the External Affairs Ministry to reveal the names of private individuals who travelled with Prime Minister Narendra Modi on his foreign trips after an RTI activist alleged he didn't get a satisfactory answer from the Prime Minister's Office. CIC issued the directive after RTI activist Karabi Das approached it saying he was not given complete information regarding Modi's foreign travels, including the names of all private individuals who accompanied him between 2015 and 2017. Around 8000 employees or one-third of the workforce of Vodafone, Idea Cellular have lost their jobs ever since the merger was announced 17 months ago. The country's largest telecom operator or the newly merged entity has an employee count of 17000 employees. All employees who have been enrolled into Vodafone Idea Ltd will be given new joining letters as per a report in the Business Standard. Indian regulator has asked global health major Johnson & Johnson to pay Rs 20 lakh as interim compensation to all those who had received the hip implants as reported by the Economic Times. This is in keeping with a government-appointed committee's recommendations.All patients who got the implants will be evaluated individually to find the extent of medical problems arising from poor implants.The company has informed the regulator that around 4,700 patients in India received these implants and over 3600 patients are yet to be traced.. The fight over how the Singh brothers, Malvinder and Shivinder, squandered Rs 22,500 crore in less than a decade has become fiercer with Shivinder suing his elder brother Malvinder and former Religare CEO Sunil Godhwani in the National Company Law Tribunal for oppression and mismanagement of RHC Holding. The Singh brothers have been embroiled in controversies over the past few years. The two brothers were loaded with Rs 9,576 crore in cash in 2008 after selling India's largest pharmaceutical firm Ranbaxy Laboratories to Japan's Daiichi Sankyo. Just 8 years later, in 2016, they were in debt of Rs 13,000 crore. Indians may soon have a single smart card to meet all transportation needs. Government's policy think tank, Niti Aayog, has come up with a new one-nation-one-card policy for public transport. The proposed card would be on the lines of what is used in cities like Singapore and London.The proposed card will allow people to travel hassle-free on the bus, metro and even suburban trains.